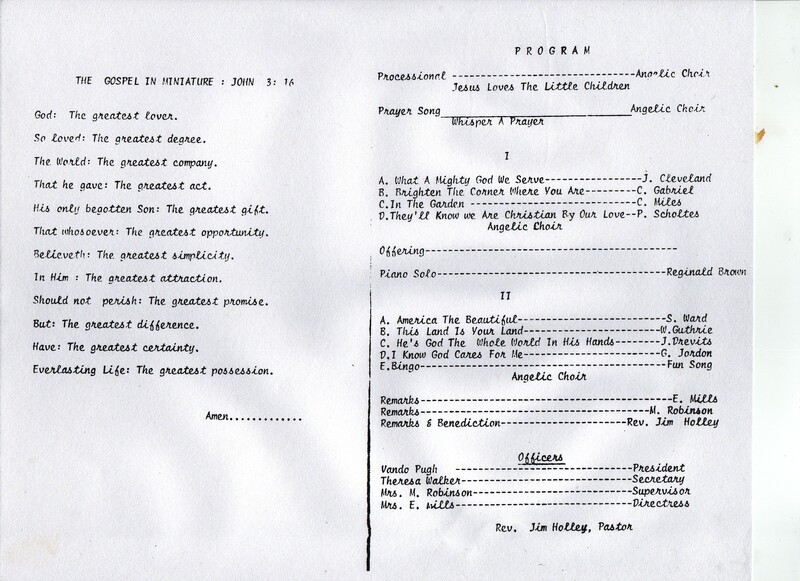 Description: Program for the Angelic Choir concert in 1976. 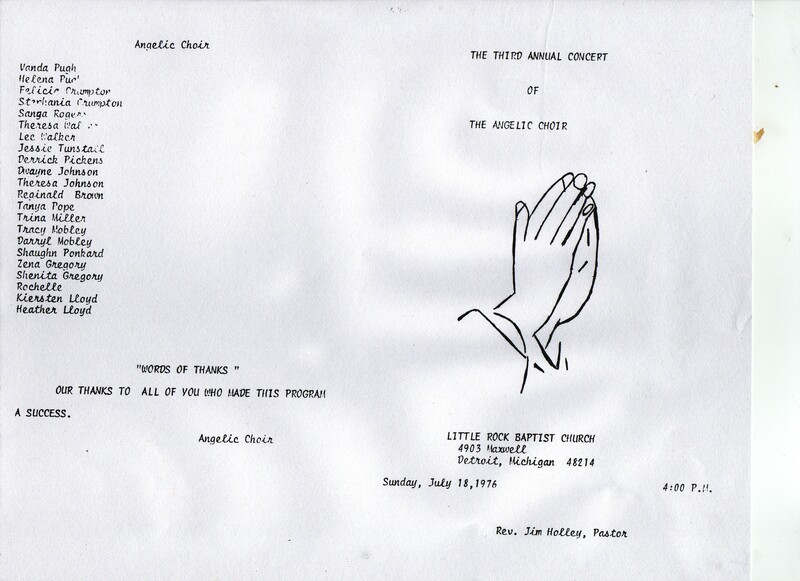 The angelic Choir performed songs such as America the Beautiful, What a Mighty God we Serve, In the Garden, and This Land Is Your Land; along with a piano solo by Reginald Brown. Our thanks to all of you who have made this program a success. So loved: The greatest degree. The World: The greatest company. That he gave: The greatest act. His only begotten Son: The greatest gift. That whosoever: The greatest opportunity. In Him: The greatest attraction. Should not perish: The greatest promise. Everlasting Life: The greatest possession.